After starting up the sitecozy borken link checker desktop application, just type the URL that you want to check. For sure, it must start with HTTPs. After pressing submit, the sitecozy broken link checker reviews every web page and checks internal links in A HREF, IMG SRC and IFRAME tags. 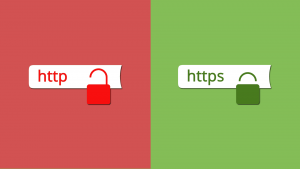 It will issue an error when a URL starts with HTTP rather than HTTPS. Once the broken link checker finds a mixed content error, it will display the error in the URL error report. The error message will be “link is HTTP while the host page is HTTPS”. Once the error is displayed, it is possible to find it in the HTML source of the host page. To do so, select and copy (CTRL+C) the error page URL, then, click on the host page. Then right click, click on “show page source”. Click on CTRL+F, CTRL+V and you will find where the mixed content error is located.